Quamme, H.a.. "Pear". The Canadian Encyclopedia, 13 March 2015, Historica Canada. https://www.thecanadianencyclopedia.ca/en/article/pear. Accessed 20 April 2019. The pear (genus Pyrus) is a common name for over 20 species of fruit-bearing and ornamental trees of the rose family. The pear (genus Pyrus) is a common name for over 20 species of fruit-bearing and ornamental trees of the rose family. The genus is indigenous to Europe and Asia. The European pear (P. communis), which produces buttery, juicy and aromatic fruit, is the most widely grown. 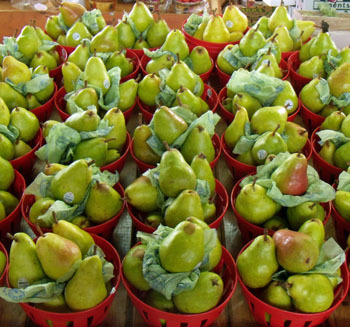 In Canada, commercial pear production is limited to regions with a mild winter climate, including the Okanagan Valley, British Columbia; southern Ontario, and Nova Scotia. 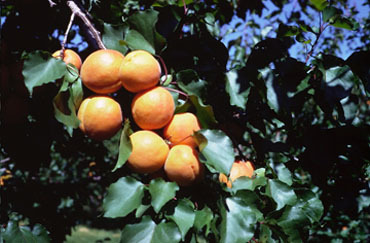 In other regions, hybrids of the Ussurian (P. ussuriensis) and European pears are grown in home gardens. Pear varieties are asexually propagated by grafting on seedling rootstocks. Bartlett, the most important variety, is marketed fresh and as canned halves and baby food. 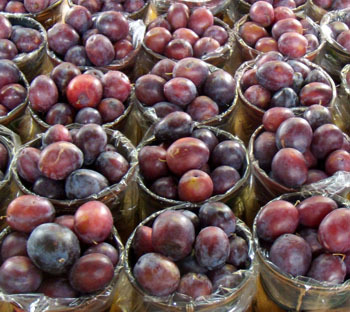 Anjou and Bosc varieties are marketed only as fresh fruit — Anjou all year with the use of controlled-atmosphere storage methods. Kieffer was once important in the canning industry but its use has declined. 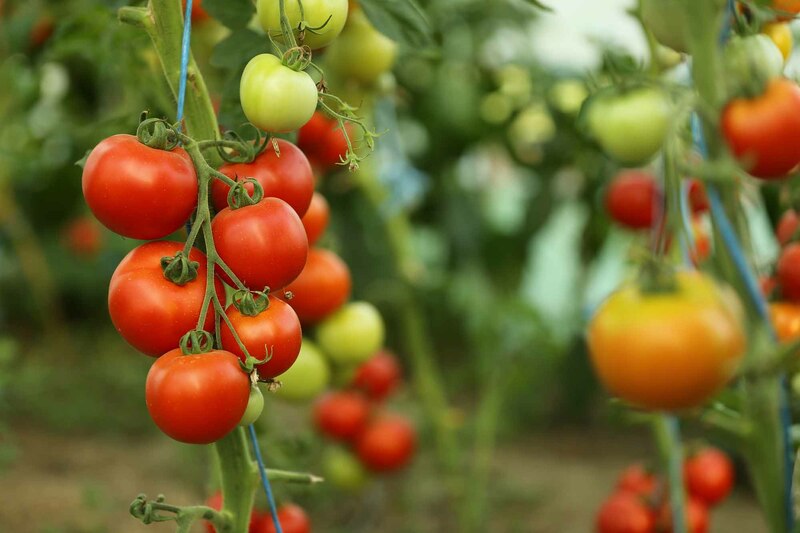 Fire blight is especially troublesome in warm, humid regions of Ontario. Pear Psylla is a sucking insect which produces a sticky ooze; a black fungal growth develops on the ooze, disfiguring the fruit.